Hi everyone, CEO Olivia here. Today I want to share with you a story from Toronto, Canada. An anonymous donor is offering to buy vest for every police dog with the Metropolitan Toronto Police. The offer for the vests comes after Lonca, a Toronto police dog, was injured when he was chasing a machete-wielding suspect. Lonca has made a full recovery I’m happy to report. 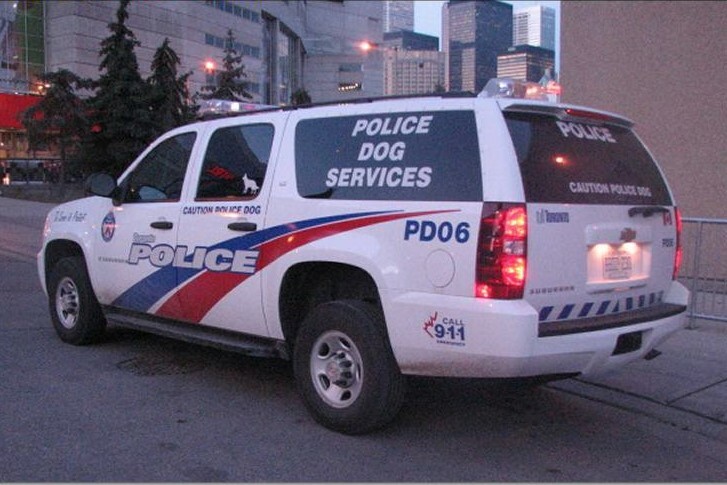 Toronto police have 33 dogs that are teamed up with 22 officers. The canines include German Shepherds, Labrador Retrievers & Springer Spaniels but there are Dutch & Italian shepherds too. Eighteen of the canines are general purpose dogs that have been trained to search for & track suspects as well as missing people. The dogs are trained to apprehend suspects by grabbing them with their teeth & holding on until officers arrive. These vests are high tech. Called K9 Streetfighter vests, they are made out of a lightweight material. They can come with a variety of armored inserts, for example, one that can stop handgun rounds, or another that protects against a knife attack. These brave good dogs sometimes have a hard & dangerous job to do. I think it’s wooftastic they will be getting more protection. Love the story and the generosity of others to keep these K9 pals safe.